Blue-haired Harajuku girl in a monochrome print top with cut-out shoulders, fringed denim shorts, knee socks, ankle boots and psychedelic sling bag. Harajuku girls in monochrome print fashion with checkered shirt, satin drawstring pants, platform shoes, black backpack, leather jacket over layered tops, asymmetrical skirt, platform shoes and a printed handbag. 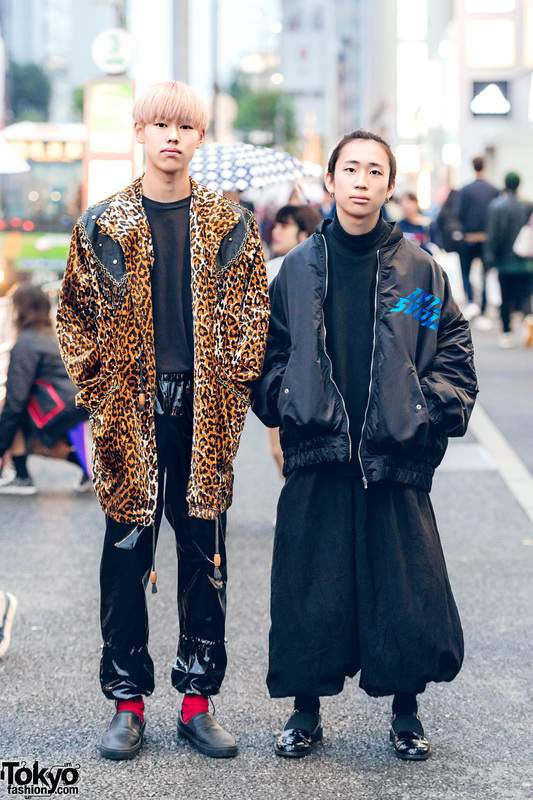 Harajuku duo in dark streetwear fashion styles with layered jackets, skinny lace up pants, blue boots, black backpack, jacket over t-shirt, skinny ripped pants, platform boots and a tote bag. 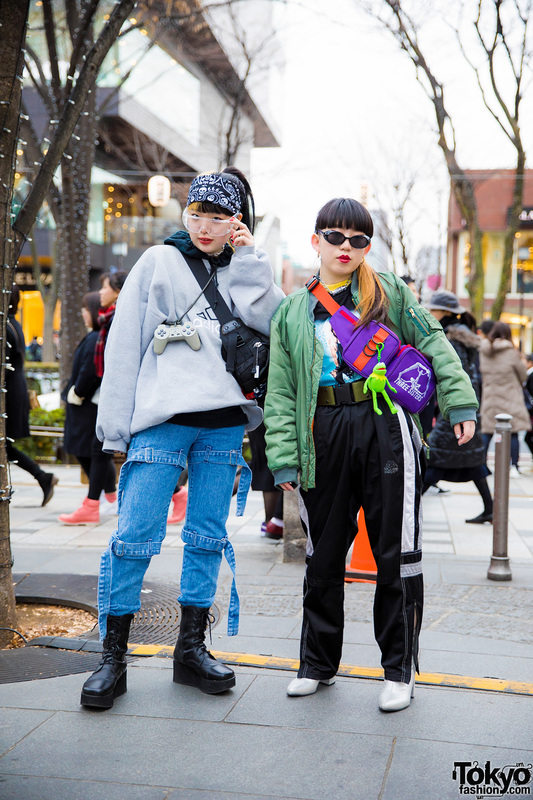 Harajuku duo in winter streetwear fashion with metallic jacket over a knit turtleneck sweater, satin pants, a sling bag and black sneakers; a vintage zipper jacket over a plaid dress, a satchel bag and black boots. 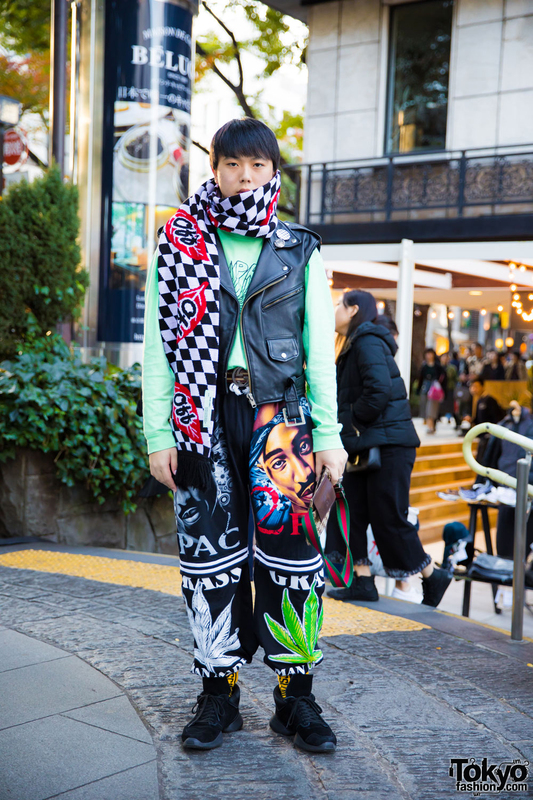 Harajuku guy in mixed prints fashion wearing a leather vest over a green sweatshirt, printed pants, black sneakers, sling bag and a checkered scarf. Harajuku guys in cold weather streetwear fashion while out and about on the street. Harajuku girls in street fashion with vest over band shirt, camouflage print pants, platform boots, sweatshirt, faux leather skirt, thigh high socks, black t-shirt, plaid shirt, corset belt, white shirt, plaid pants, and peep toe heels. Harajuku girls in striped shirt, plaid pleated skirt, metallic creepers, sheer shirt over leopard print cropped top, oversized jeans, platform shoes, sphere handbag, drawstring chain bag and accessories.